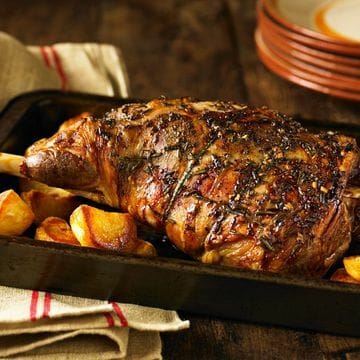 Grilled lamb - called mechoui - is a popular Moroccan dish, often featuring a whole lamb, spit-roasted. But, it can also be a mix of different cuts of lamb and lamb sausages, such as merguez that we can easily find in France. While it is fantastic to grill lamb outdoors, you can have a mechoui any time with Chef Randall's delicious version baked in your oven. This dish features the very flavorful lamb shoulder, which your butcher can bone for you. Add a mix of fresh herbs, preserved lemon, and a variety of spices and you'll have an incredibly flavorful marinade ! 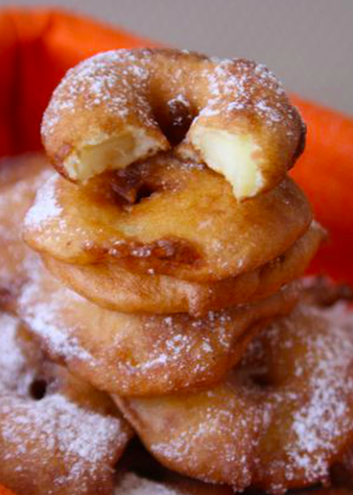 You'll learn how to make everyone's favorite - apple beignets (fried doughnut). Come watch and learn Chef Randall's tips and tricks for just how easy they are to prepare. Chef Randall also likes to serve them with a lightly spiced apple sorbet featuring sparkling cider and apple juice. Don't worry - you do not need an ice-cream machine for this impressive and refreshing dessert. The frozen sorbet can be simply flaked with a fork - or you can quickly purée the frozen sorbet in a food processor. Techniques you will learn include how to work with lamb shoulder, how to prepare a marinade, making and frying beignets, and how to make a sorbet.